One of the world's great special events, the Portland Rose Festival is celebrating 2019 with the theme, Let's Festival. In both 2007 and 2011 the Rose Festival was named the Best Festival in the World by the International Festivals & Events Association. 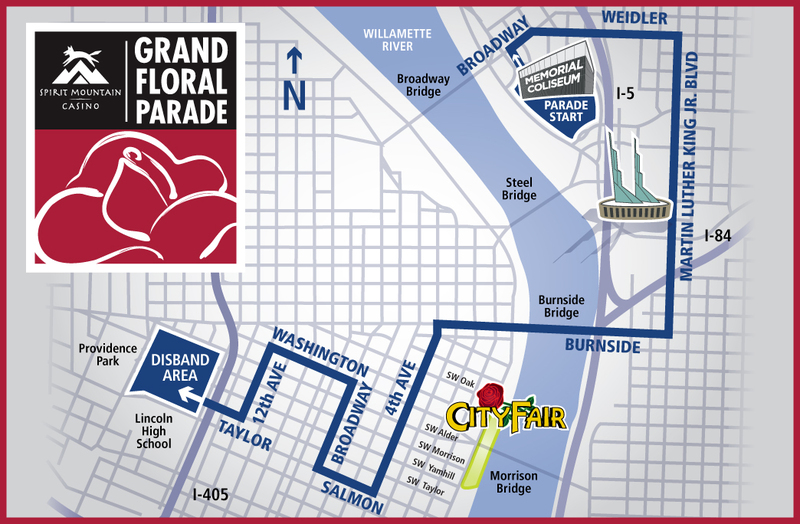 The Portland Rose Festival Grand Floral Parade is the second largest all-floral parade in North America and the single-largest spectator event in Oregon. More than 500,000 spectators line the 4.3 mile parade route which begins inside the Memorial Coliseum and continues through Downtown Portland. Bands are judged near the intersection of NE Martin Luther King Boulevard and NE Multnomah Street. A week prior to the Grand Floral Parade, the streets of downtown Portland glow with the lights of the Starlight Parade. The illuminated parade is one of the Portland Rose Festival's most popular events, drawing more than 250,000 spectators to view the sparkling floats, gleaming bands and glowing marching groups. A featured highlight in both the Starlight Parade and Grand Floral Parade is the One More Time Around Again Marching Band presented by Standard TV & Appliance. This all-age band boasts more than 500 members from the region and across the country. Both the Grand Floral Parade and Starlight Parade will be televised live in Portland and throughout the region on FOX 12 and PDX TV (watch live online at www.kptv.com). 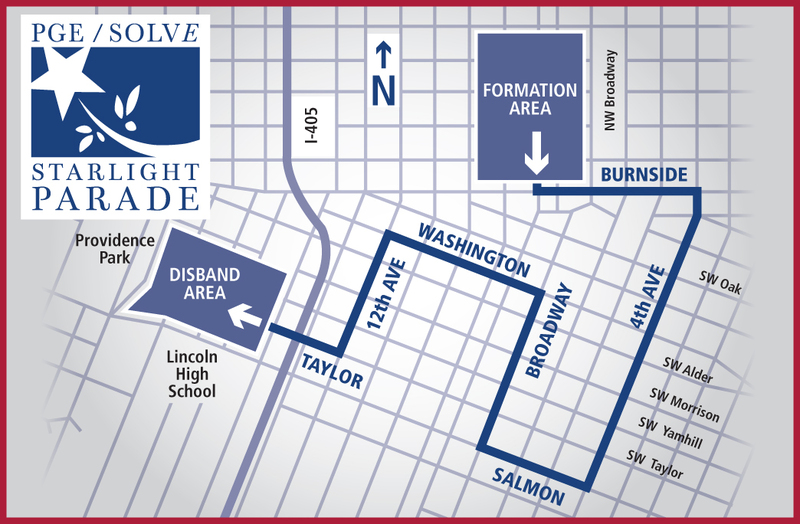 FOX 12 will also be broadcasting a third parade during Rose Festival, the Fred Meyer Junior Parade on Wednesday, June 5. • Discounts are available for groups of 10 or more. Call 503-227-2681 for group tickets.